Exercise on a daily basis. Physical activity not only helps maintain a healthy body but a healthy brain, too. Don’t be afraid to make new friends no matter what your age. Make an effort to see your old friends too. Learn something new by taking a class or playing games. Give back by volunteering. Practice yoga to improve your flexibility and balance. 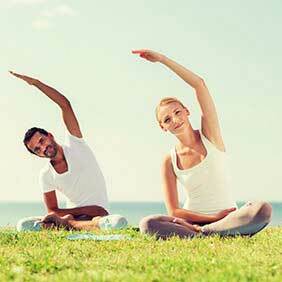 Yoga is also great for the mind and will help reduce stress.